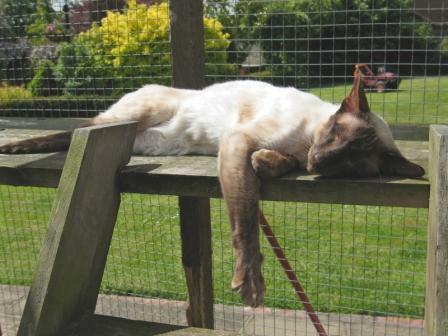 Houdini is arguably the most laid back of our boys, who enjoys his food and likes lounging in the sunshine. He has had many show successes, including gaining overall Best in Show a number of times. He is a true gentleman with the ladies, and if he were a human taking a lady out on a date he would probably dress in his finest suit and take her for a fine dinner at a top rated restaurant! Peppie is the possibly the gentlest and most affectionate of our boys, who insists on a cuddle from visitors. 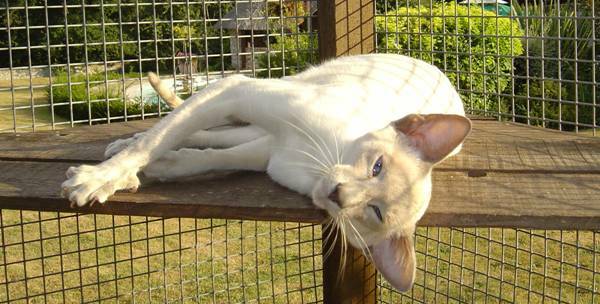 He has sired many Best in Show winners and loves taking part in cat shows himself, preferring to be out of the pen being shown off to everyone. If he were a human he would probably choose to invite his date to a country retreat for the weekend, and would dress in his smartest tweed jacket! 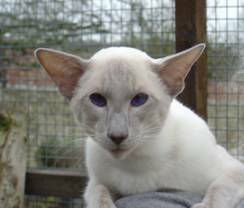 Monty is a very proud Siamese who likes to think of himself as the finest looking of the Mapu family. A bit of a party animal, he is usually the last of the boys to retire to his sleeping quarters at night, and in the early hours is often heard calling to see if there are any ladies around. 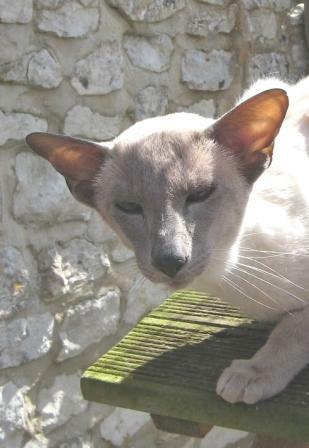 He has had a successful showing career so far, although we suspect he may consider himself a little too important to travel to shows these days, preferring instead to lounge around his bachelor pad taking in the Hampshire air. If he were a human he would probably dress to impress in only the best designer labels and take his date for a night out on the town until the small hours!